Add a pinch of sparkle and decorate with an abundance of glitter to create your ultimate unicorn foodie experience.The magical realm of the mighty unicorn comes to life in this dazzling cookery book brimming with sparkles and rainbows. 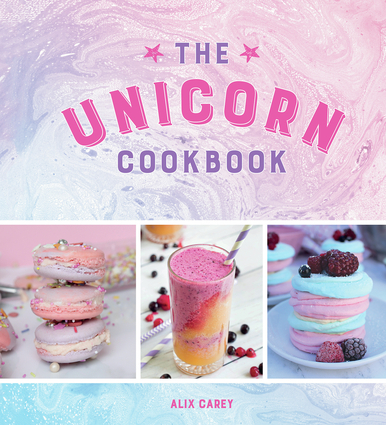 From the magical explosion cake to happiness pancakes, The Unicorn Cookbook is packed with recipes perfect for parties and times when all you want to do is spread some joy and release your inner unicorn. Alix Carey is a baking enthusiast and the author behind food blog and Instagram account My Kitchen Drawer.